Artifice adds a ton of new blocks and items that can strengthen and make your building experience easier. 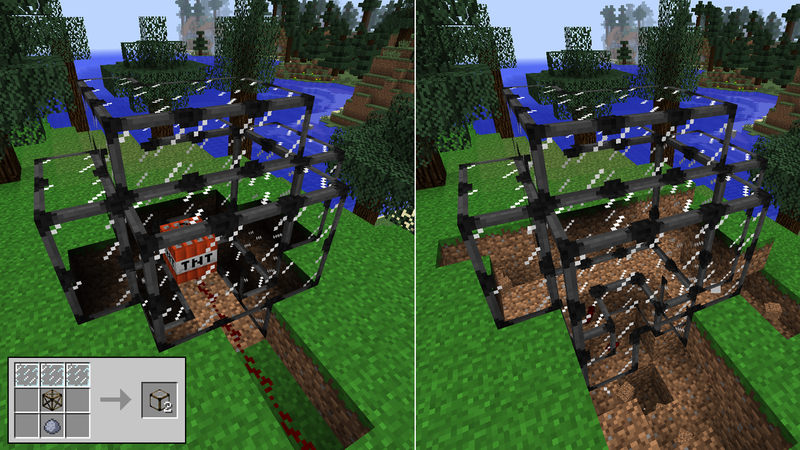 The mod adds steel, made by smelting iron ingots. And Steel will help you to put maximum reinforcement on blocks of glass or brick. 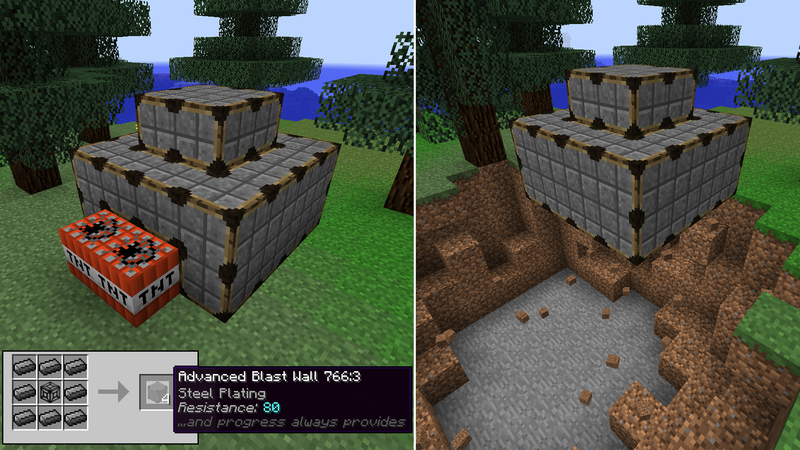 You can even make blast resistant walls and windows to aid in preventing your structures from exploding. 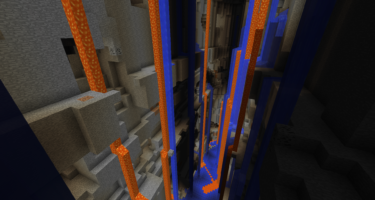 They work great against creepers and TNT and come in 4 different tiers of strength. 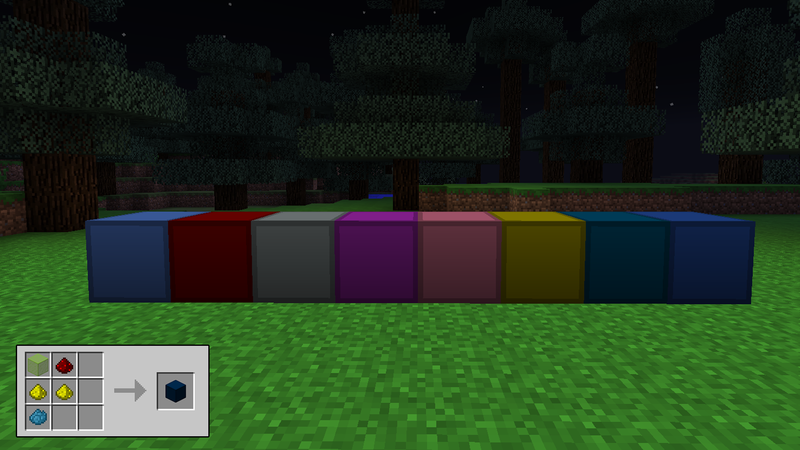 You can make colored lamps with a little glowstone dust, redstone, dye and glass. 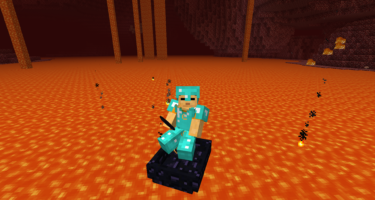 These are pretty much for aesthetic purposes and won’t actually glow that color but still neat if you want to add some variety in your lamps and not solely use traditional glowstone or pumpkins. Have you ever built a tall house or tower and have that temporary dirt staircase from floor to ceiling? Of course it’s the easiest way to build up without having to place your stairs first. Well with this mod you now have scaffolding. 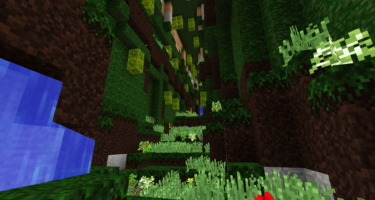 They are easy recipes and climbable so you can build up effortlessly and won’t need to make a complicated dirt staircase to get up and down. One of the best features of this mod is reinforcing your tools and armor. 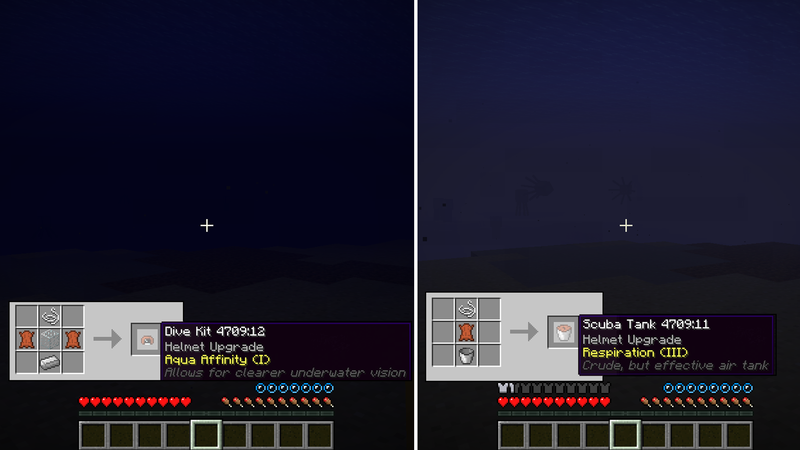 You can upgrade your helmet to see better and breathe longer underwater. You can reinforce your tools and armor with sharpening stones, spikes to deter attacks, fire protection and even limiting your fall damage. This is similar to enchanting but it won’t cost you XP to upgrade. 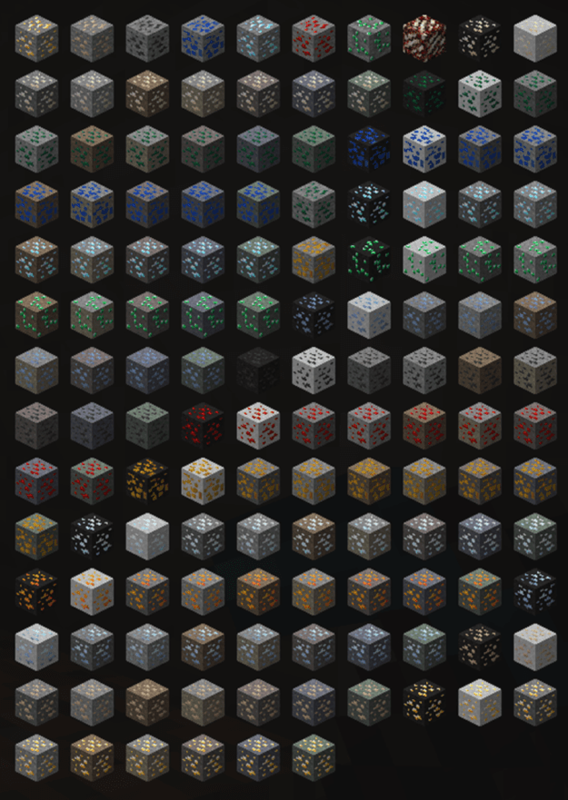 Artifice adds a ton of new ores, mostly for decorative blocks, but they even alter the type of stone regular ores spawn in to blend in better with their surroundings. 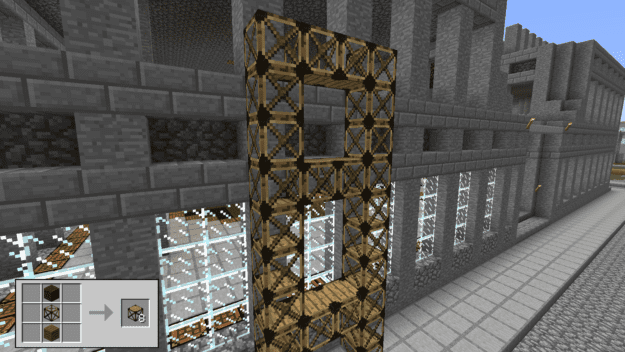 These new ores allow for a better variety in stone blocks for new architectural designs. And finally this mod gives you pavers and anitpavers. These are blocks that either interact with each other or don’t interact. This allows you to create some really interesting designs for streets or walls. See what you can come up with! You’ll also need the CoFH Core to run this mod. Found here.